Malibu Creek State Park is a favorite weekend destination for hikers and bicyclists throughout the Los Angeles area. It also happens to be the closest campground to downtown LA, which makes its a great camping destination for families looking for an adventure without the drive. Upon first glance, it looks a bit bland, especially if you arrive in the parched summer months. Granted, it’s not as glamorous as nearby Leo Carrillo, but it does offer some great trails, guaranteed animal sightings and outdoor adventure for families. There really is much more than meets the eye with camping at Malibu Creek State Park. There are several options for camping here, individual sites for tents or RVs and one coveted group spot. We have been lucky enough to camp at both the regular campground as well as the group site. Reservations are made online (or by phone) through Reserve America. Check out the site map to get a better sense of how the 57 camp sites are laid out. Everyone has different preferences when camping – close to the restrooms, secluded, easy access to trails, etc. This campground has plenty of sites to meet most people’s needs. Our preference is site 59 (tent only). It is close enough to the bathrooms that you can get there in the middle of the night, but also backs up against a wide open field near the amphitheater which makes it great for families with kids who need space to run around. The rangers on duty are great at helping determine some of the best spots based on a groups needs. Each campsite has space for two vehicles, however, many of the campsites have enough room for more than 2 tents. If you are camping with several families, additional cars can park in overflow parking areas for an additional day use fee. Many of the sites have little or no shade, which can be difficult during the hot months of summer. Shared bathrooms and showers are clean and easy to access throughout the site. Water spigots are located throughout the camp grounds for cleaning dishes, feet, etc. It can get very chilly at night even up through May; pack accordingly. There is only one group camp spot at Malibu Creek which means competition is fierce for weekend dates throughout spring, summer and fall. Reservations can be made (and must be for those coveted dates mentioned above) 7 months in advance. On the 1st of the month, reservations open for the entire month, 7 months later. For example, if you want to book for the first weekend in June, you will need to be ready and waiting to book on November 1st. It’s insane to have to plan that far in advance, but it’s worth it. And worst case, it’s only an $8 fee if you end up canceling. The group spot is meant for a minimum of 9 people and up to 50. If you only have 9 people it will feel MASSIVE! People book this spot for weddings, special events and of course school camp trips. With approximately 70 people from my son’s school, there was still plenty of space, bathrooms and parking for everyone. Much of the site is shaded by beautiful large oak and sycamore trees which makes it a perfect campground even in the height of summer. It is a beautiful space and a great place to spend a few days for groups of any size! 12 parking spots are included in the reservation fee, all other cars will have to pay the day use fee of $12 (at time of writing). Poison oak warning signs are posted at the group site which makes it easier to see exactly where it is located. If a ball goes into the brush, say goodbye to it! This is a WALK-IN site, which means that you will have to walk your belongings about 100 yards from the parking area to the actual camp site. Bring a wagon to easily carry things back and forth. The group site has a ton of space for kids to roam around and adventure without getting lost or being in danger of road traffic. For scooter or bike riding, there is only a small cemented area around the bathrooms. Otherwise it’s all off roading. For families with small kids, the best hike is to the Rock Pool. The trail is stroller and bicycle friendly with little elevation gain, making it an easy stroll. From the parking area off the main road, it is a little over 2 miles round trip. If you begin your hike from the campsites, add another .5 miles or so. It is a pleasant walk, even without much shade. From the campsite, follow the trail (either one) from behind the amphitheater. Another popular trail here is to the old M*A*S*H site. For littles no longer in strollers or carriers, it will be a bit long for them to make it all the way unless you stop for a while at the rock pool on the way there and back for some down time! As mentioned above the Rock Pool trail is a great activity for families or anyone looking to cool off. Even before you get 100 feet on the trail, you will pass a water hole under a bridge that is often filled with littles splashing about. Either place will provide a great afternoon of fun for everyone on a hot day. In non drought years, I hear there is also water in the creek that runs behind the main campground. We have not been lucky enough to witness that in recent years. I know, it seems strange to suggest a visitor center should be on your to do list. But what’s even stranger is that the visitor center for Malibu Creek State Park is actually only accessible by hiking/biking! It is on the same trail as the Rock Pool, which means it is a bit of a walk from the main road. If you have kids, it is worth it. The Visitor Center also makes a great stop off point if you venture all the way to the M*A*S*H site. The center is filled with great hands-on exhibits about plants and animals that live in the park. There is also a kids room in the back with activities, microscopes and more hands-on specimens that will keep the kids happy for a while. They will especially like being able to touch poop. Don’t worry parents, it’s a dried out (or fake!). A surprising hit with the kids during our visits has been the outdoor amphitheater behind campsite #59 and on the path to the Rock Pool. The kids in our group loved hanging out on the small stage and putting on shows. For our last visit the kids all brought musical instruments from home just to play for the adults on this cute outdoor stage. Included in your camping fees for Malibu Creek State Park is free parking for all of the area’s state beaches. Load the family up and head to nearby Point Dume, Zuma or Leo Carrillo for a day of beach play. Check tide times for a fun day of tide pooling at Leo Carrillo. Check in is a 2pm and camp sites are not pre-assigned. This means that if you are arriving on a Friday, get there as close to 2 as you can so you have the best choice for sites. This is imperative if you are camping with a group and have reserved more than 1 site. If you are camping only for one night, considering booking two nights so you can arrive at anytime on your camping day. Otherwise it is a very short day, arriving at 2 with check out at 12pm the following day. There is poison oak all over Malibu Creek State Park. For the most part, it is easily avoided by staying on the paths and out of areas with thick brush. Print out a photo so that everyone knows “leaves of 3, let it be”. Wood burning fires are prohibited throughout the year, however, charcoal fires are allowed. There are deep pits at each site for camp fires. This looks like a great site. I’ve done more camping up in Northern California but have been looking for more spots along the coast. Thanks for sharing. I still have not visited Malibu Creek. I am going to check how is the camping availability there. I have tried to camp at Leo Carrillo with no success (it is always full). I have also thought about camping in the Sycamore Canyon area, but again, not sure what is the availability. You can usually get a spot even in the summer last minute. We had friends who went last weekend bc they couldn’t get a spot at Leo Carrillo. I will also check out sycamore canyon!! Great article. I have been several times to Malibu State park when I was in Los Angeles and I never knew there were so many activities to do. We simply hiked and walked around and spent the time. You guys had a blast there camping. I will consider next time maybe. BTW, you guys are doing a great job traveling and enjoying life. We are doing the same thing and enjoying everything the fullest. I can see why this camping site is so popular since it’s so close to the beach and great hiking trails! It’s always good to know in advance how soon to book a campsite. When I’ve gone with family we plan a year in advance because some spots are visited frequently. What a lovely camping site!The activities look fun and I think the whole family can enjoy it even the kids. Great tips as well! GOOD LUCK PEOPLE! and have fun camping! Great post. I’m planning to take my family this summer for a camping vacation and i’m sure their gonna love it. Thanks for the tips! I`m so glad I found this wonderful camping site! 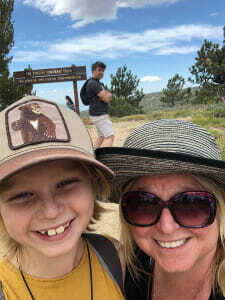 Our family love camping and connecting with nature! Thank`s for sharing Malibu Creek State Park with us, it looks like a lovely place!